Google Maps is Getting a Facelift » Ziing Log In or Sign Up. Finding the best route to a new coffee shop has never looked so good. 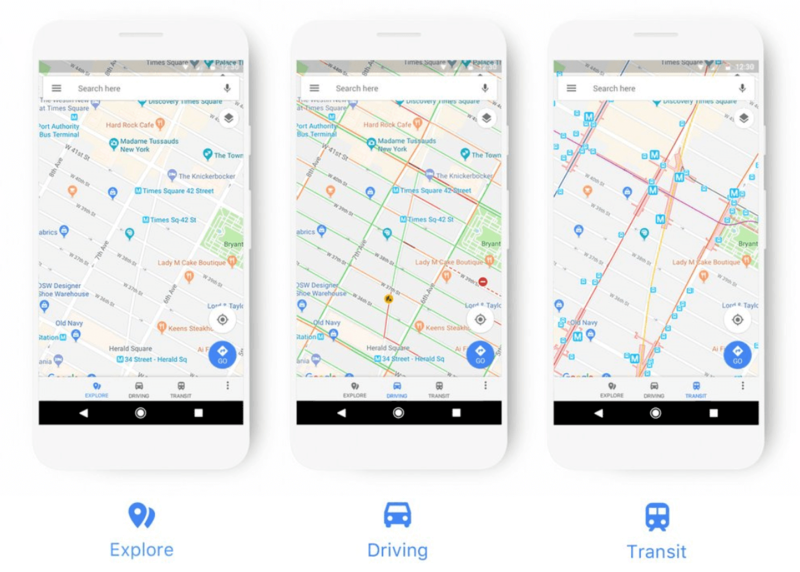 Google Maps has released an updated design to their popular directions platform that will roll out over the next few weeks, as the driving, navigation, transit and explore maps have been refreshed to highlight important information much more clearly. In the new design, if a user is driving and using the navigation map face, gas stations will be highlighted, whereas transit mappers will be pointed towards bus, subway and train stops. A new color scheme is also rolling out, with new icons identifying points of interest that a user may want to check out. This could include restaurants, churches, museums and more. This change is welcome, as before the update almost every little icon on the map was blue, leading to some confusion unless a user zoomed all the way in to read the name. Food and drinks are orange now, shopping stays blue, pink is health (hospitals, clinics. etc. ), seafoam green is entertainment and leisure, regular green is outdoors, and light blue is for transport. There are also icons for civil services/worship and regular services. Some of the colors are quite similar which may lead to a lot of difficulty for people with color blindness. Several new icons have been added as well, with indicators for everything from relics to Dharma temples visible on Maps now. Road closure, construction and accident icons are updated too, hopefully leading to less confusion for drivers navigating the streets. Over time, the new style of Maps will appear in the apps, websites and experiences offered by companies that use Google Maps APIs.